Downtown Fever is not your average party band. This high energy group is comprised of the most talented musicians Dallas has to offer. Through lighting, choreography, and multiple lead vocalists, they bring a dynamic and interactive style that is famous for keeping dance floors full all night long. 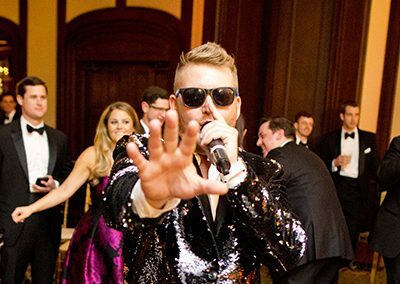 With a versatile song list ranging from Frank Sinatra to the hits of today, they specialize in choosing the best dance music at just the right time to pace your party to perfection! 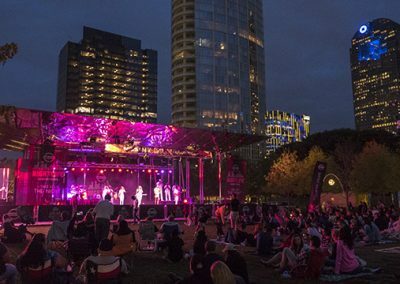 Downtown Fever is based in Dallas, Texas and also maintains a busy performance schedule in Austin, Houston, San Antonio, Kansas City, St. Louis and all over the United States. 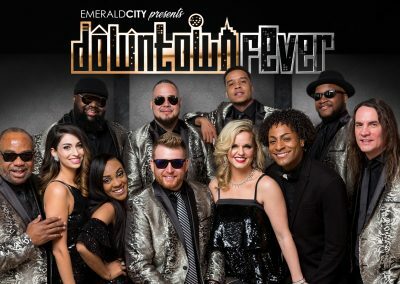 When you hire Downtown Fever, you become part of the Emerald City tradition. Our management team works with you to plan out every detail. From the moment you arrive at the last note that’s played, the band customizes their performance and ensures an unforgettable evening. We will help you catch the "Downtown Fever!"